Two interrelated events will take place very soon, which without exaggeration can be called decisive for the existence of the European Union. I’m talking about the Brexit procedure and the holding of elections to the European Parliament. These events are closely intertwined and cause a keen interest of European politicians. And it’s probably not even the very fact of the UK leaving the EU. London made this decision and is actively moving towards its implementation. All have come to terms with this. The process of breaking off relations with Brussels will certainly be difficult, deserves special attention and will take a long time. But the elections to the European Parliament will take place in less than five months. It should be noted that, traditionally, representatives who failed to get seats in their national parliaments fall into the European Parliament. Usually elections are characterized by extremely low voter turnout due to a previously known result. Moreover, the quotas for each individual country are known in advance. 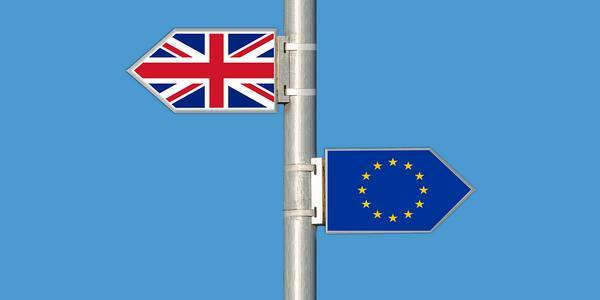 This year, Brexit introduced the hype and unpredictability, predisposing the usually boring and routine process. Initially, the calculation was made on the fact that the policies of London and Brussels reached an agreement acceptable to both parties in the autumn of 2018. And by May, the UK exit procedure will be completed. In this regard, 73 seats are freed. One could simply reduce the number of parliamentarians and that’s all. But no. After all, a certain amount of subsidies and financing is tied to each seat, which is unlikely to be prepared to give up policy. In view of this, the number of places will be reduced by 46. The remaining 27 seats are planned to be distributed among the EU countries. And if the procedure does not take place, then you will have to return everything back and revise the quotas again. But in fact there is another event that is worth paying attention to. It can also not only stir up the European Parliament, but also influence the change in the EU policy direction. Always, regardless of the outcome of the vote, the leaders were the European People’s Party (EPP) and the Party of European Socialists (PES). As the European Union expanded, party representation simply increased. But recently, the number of euro skeptics begins to increase significantly, which already makes them take them seriously. Now, united, they can constitute a threat to the ruling parties. The statistical agency Europe Elect analyzed current ratings in all EU countries, according to which Euro-skeptics currently receive 161 deputies from 705. If Euro-skeptics are united, their fraction may become the second largest in the EU. And maybe even the first. For this you need to get about 20 extra votes. Will Euroskeptics unite or not – this issue is not resolved. But one can surely say that now EU officials will not be able to interfere with their activities. Even despite the fact that the decisions of the European Parliament are not binding and are advisory in nature, they will have to be considered. So now it is possible to say with certainty that a lot depends on the decision made by politicians in the UK, including the fate of the EU itself.